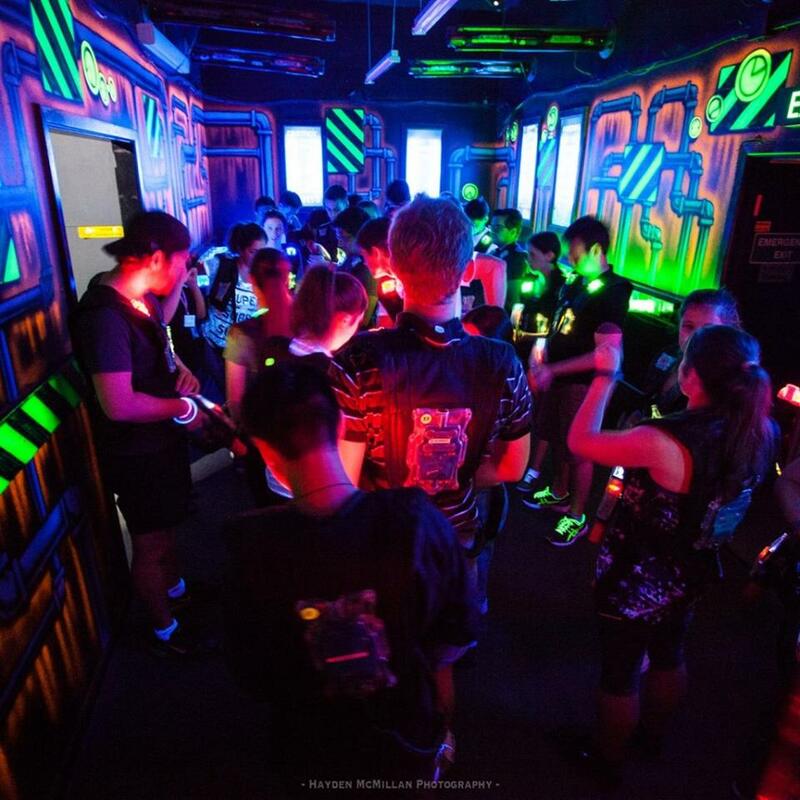 Laser Tag games start every 15 minutes, with up to 40 players per game. Games are 12 minutes long, and players wanting to play multiple games are required to have a 15 minute break in between games. We ask that you arrive no later than 15 minutes before the start of your first game to allow time for your pre-game briefing. Member prices are 20% off! Membership is free and you can sign up in store. The Power Pack includes access to over 30 freeplay arcade games including Daytona, Point Blank, Metal Slug, Air Hockey & Foosball during your 15 minute game breaks. Super Sessions are set session times which can make as a great group booking or alternative to birthday parties. Included is 4 Games of Laser Tag and 4 sessions in the Freeplay Games Arcade! Merging the best of what Darkzone has to offer with Laser Tag, Arcades and Virtual Reality. A package that truly has it all. Mixed reality has a max of 4 people per booking. Ultimate reality can be booked up to 8 people. Test your mettle against the best! Our League Night starts off with some warm up training at 6.30pm. Games commence at 7pm and usually finish up at about 9pm. League night is ideal for anyone who wants a challenge or is looking to improve their skills. $15 a night. Sign up in store or on our Darkzone Box Hill League Facebook page. Bring your mate for free! –then tag them! 2-for-1 Tuesday runs ALL DAY Tuesdays. Two games for the price of one, or two people for one of our Power Packs for the price of one. Half price pizzas with any laser tag booking between 6-9pm! Nom nom nom. An hour long game for the price of 12 minutes! Can you last the Final Hour? Between 11pm & 12am. * 2-For-1 Tuesdays don’t run on school or public holidays. It also doesn’t include birthday parties, or private bookings.